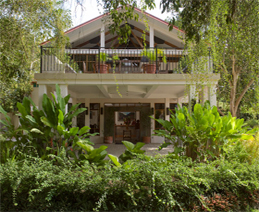 Nestled in a valley surrounded by the Maya Mountains of Belize's Cayo District, Ka'ana Boutique Resort is the premier choice for discerning travelers. Perfectly located near cultural, historical and eco-adventure attractions, guests can utilize Ka'ana as an outpost for exploration. At this Boutique Resort, travelers can enjoy exquisite dining, SPA services, Mayan ruins, cave exploration, nature trails, jungle tours, canoeing, tubing, zip-lining and horseback riding. Their onsite restaurant only uses fresh ingredients in a natural comfortable setting to allow your palates to taste regional cuisine.